Maintaining your air conditioner to running efficiently & avoid costly repairs. Bickley's Air Conditioning & Heating is your trusted Redding air conditioning contractor. We provide seasonal maintenance plans to keep your air conditioning system running at peak performance. Your air conditioner's filters, coils, and fins require regular maintenance for the unit to function effectively and efficiently throughout its years of service. Neglecting necessary maintenance ensures a steady decline in air conditioning performance, while energy use steadily increases. Bickley's Air Conditioning & Heating also recommends advanced air cleaners that can filter air much better than standard filters can. 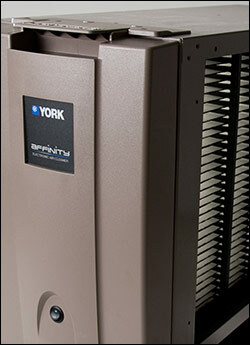 An advanced air cleaner can filter pet dander, pollen, bacteria and even the flu virus from your indoor air. This gives you a healthier home, and keeps your HVAC system much cleaner. Another option we recommend for our Redding area customers is a UV light. Mold can affect an evaporator coil's efficiency, and the dark, damp interior of the coil system is a perfect place for mold to grow. A UV light mounted inside the coil will kill mold and keep it from growing. Contact us today at 530-527-7188 if you have questions or need air conditioning & heating service in Redding or surrounding areas.